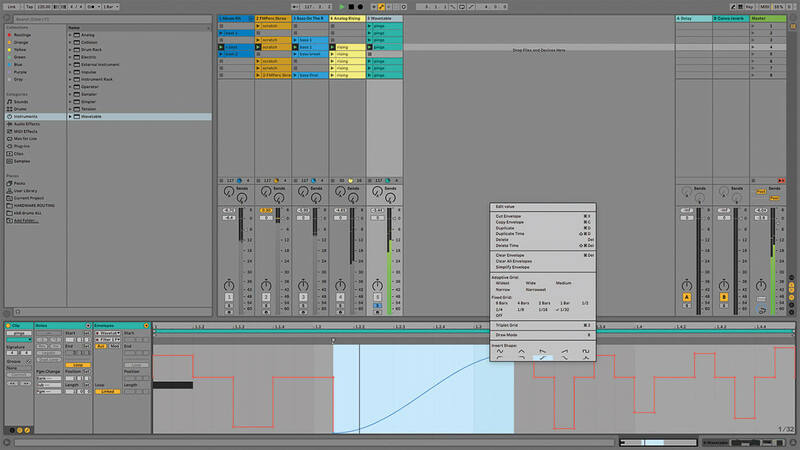 Ableton releases the public beta of Live 10.1 – is it an unremarkable ‘point update’ moment, or is there more to it? 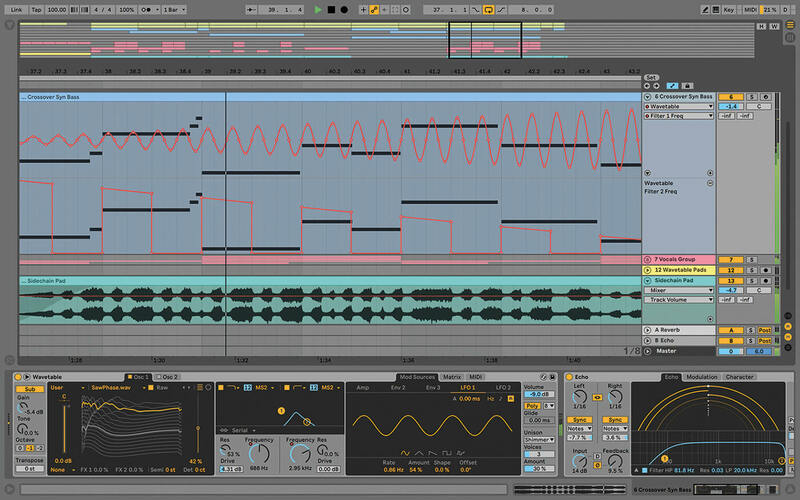 Ableton has released the public beta of Live 10.1 – it’s now available here. 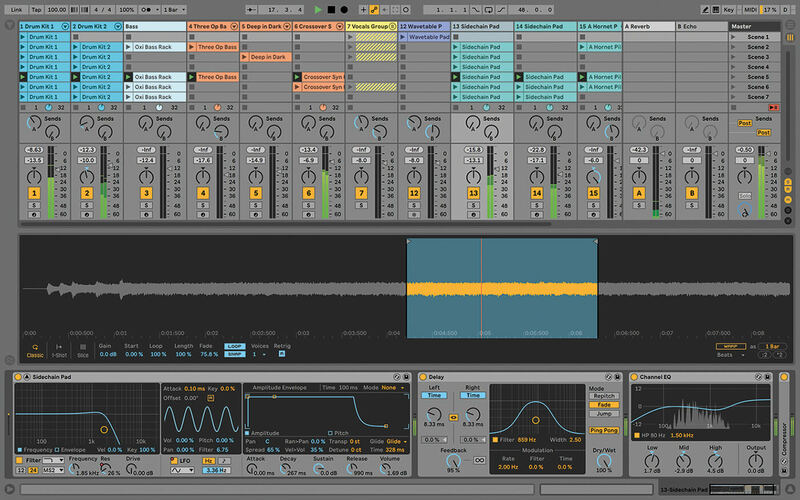 A point-one release isn’t always newsworthy, but Ableton has history when it comes to adding features to free updates – just go back and look at the Live 9 release notes. So let’s delve into Live 10.1, beginning with a recap of what was new in Live 10 the first time round. 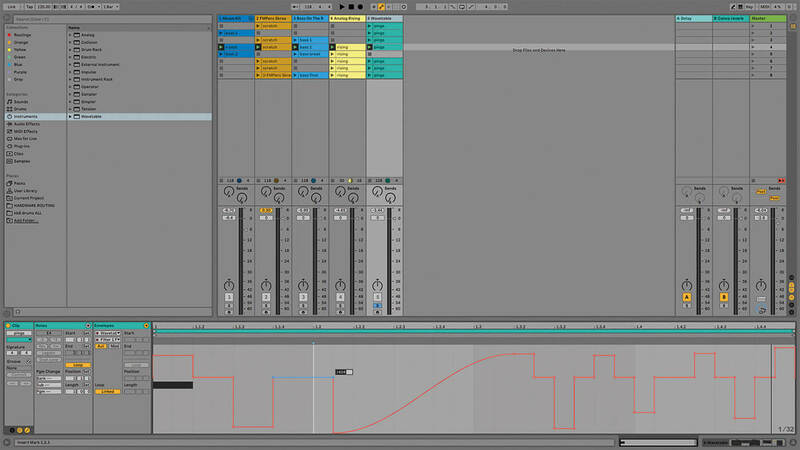 Ableton Live 10 gave us revamped visuals and new Devices in the form of Wavetable (synthesizer), Drum Buss, Echo, and Pedal (audio effects). 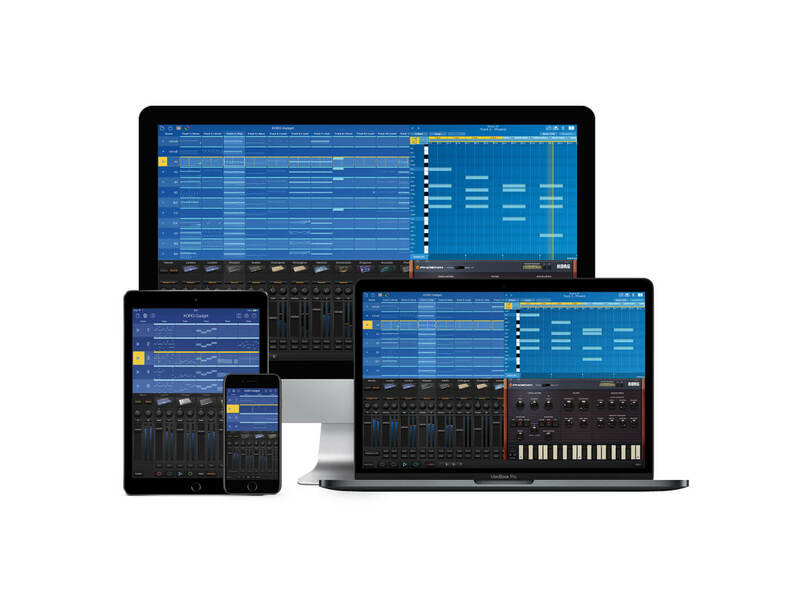 It also gave us functional enhancements including Capture (MIDI recording without hitting ‘record’); group tracks inside groups, colour-coded Browser collections and editing of multiple MIDI clips. To cap it all, Max For Live was built into the main application instead of requiring a clunky separate install. Live 10.1 now brings us the ability to add custom wavetables for the Wavetable synth, a new Channel EQ Device, a new Delay Device, as well as improvements to automation, track-freezing behaviour, and navigation. For a lot of people, the standout feature will be the ability to import custom content into the Wavetable synth; this can be ‘proper’ wavetables (a wavetable is a single cycle of an audio waveform that can be used as a synthesis source; often you need separate utilities to make these), audio samples, or even .ams files exported from Live’s Operator synth, which is actually a really good way to start exploring this. Wavetable already includes tonnes of presets and raw source sounds, so you might never need to add your own material, and because of the way wavetable synthesis works, you might not even notice the difference without using the right kind of material, but diehard synth heads will appreciate and use this capability, for sure; in fact, look out for our dedicated Wavetable tutorial soon. Wavetable is a great addition to Live’s existing suite of synth instruments, and this update deals with the only major omission. Live also has some audio effect news. Channel EQ adds a third option to Live’s EQ Eight and EQ Three, and it looks like a cross between the other two – which I guess is the intention – bringing EQ curves and a high-pass filter to a simple three-band EQ format – good stuff, and very user-friendly. While Live adds a third EQ, the Delay effect replaces two others. Ping Pong Delay and Simple Delay have been merged into a new Device (old projects where you’ve used those will open with it and the appropriate settings; everything will sound as it should). The Mode switches are where the fun starts. Re-Pitch causes a change in pitch as you change delay time, like an old tape delay, and it sounds great; Fade crossfades more discreetly between previous and new delay settings and Jump applies the new settings immediately, with abrupt audible changes and no leftovers – this could be a good one to automate, but my heart is with Re-Pitch Mode. Merging the previous two delays makes sense, especially when Live now includes the fantastic Echo effect as well. I run into all the time. Live 10.1 enables track freezing of sidechained tracks. So often I’ve tried to freeze a track and been blocked by a message saying it can’t be frozen because of sidechaining. Seriously, this alone will save me a lot of time – thank you Ableton, thank you very much – I’m gonna send some flowers and chocs to Berlin as it’s a very useful day-to-day workflow assist. Live’s automation has progressed in recent years, especially when you factor in the interaction that’s possible with the Push controller. 10.1 bumps it up again, with the ability to skew automation, and a library of curves that can be called up from the context menu. It’s much easier to get more evolving, less blocky envelopes, especially if, like me, you prefer to draw, rather than record, automation. And it’s taken 15 years, but finally, we can get absolute precision in our envelope values by typing the numbers courtesy of the Edit Value button in the context menu. Even if you don’t use anything else new apart from these automation features, it’ll change your sound. More they-did-it-for-me moments include improved zooming and scrolling – tap ‘X’ (as long as your virtual MIDI keyboard is off), to zoom out from an Arrangement View selection, ‘U’ to fold/unfold a track and, most usefully, use the standard two-finger scissor gesture to zoom in and out or the arrangement or clip view, and Option-two fingers to expand vertically. ‘H’ fits all Arrangement View tracks into the height of the view, and ‘W’ does the same with the width; there are even new buttons at the top of the Arrangement View timeline, and even better, they’re MIDI mappable. These are the little things that save you literally hours of your life. You can also click-and-drag downwards to expand the Arrangement View overview box at the top of the screen as well, which has been on my wishlist for years. Anything that helps us get around the screen faster is a good thing. Windows users in particular will be pleased to know that VST3 is now supported, which is just as well as VST2 is kind of over. On the same topic, there’s a new dedicated plug-ins pane in Live’s preferences. When you need to export individual tracks, you now have the option of doing so with the return and master effects included or not, via an extra export-window item called ‘Include return and master effects’. As well as the more glamorous changes, 10.1 includes the many small tweaks and fixes that typically come with such updates. You should read the full list of these on the Ableton website, although there’s no mention of the CPU issues that have dogged some users. Live 10.1 is in beta. 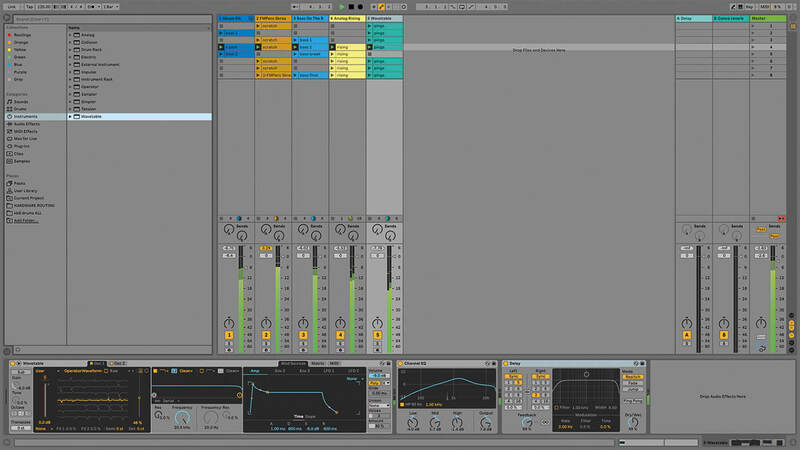 To get it you must own a Live 10 licence, and join the beta-testing group via Ableton’s website. The beta will run alongside Live 9 or the current version of Live 10 without problems but, as always, make backups, and don’t use the beta for any critical projects. This update has some standout new features but, so far, Live 10 has been about adding the many tweaks that make life better for the user, which is more important. If you already have Live 10, this is, of course, a no-brainer – a free update with more features and some fixes. For anybody dithering about upgrading to Live 10, or maybe considering moving to Live from another DAW, this update contains yet more reasons to make the move. Whether you’ll be drawn in by the workflow enhancements or by the refinements to the Wavetable synth. 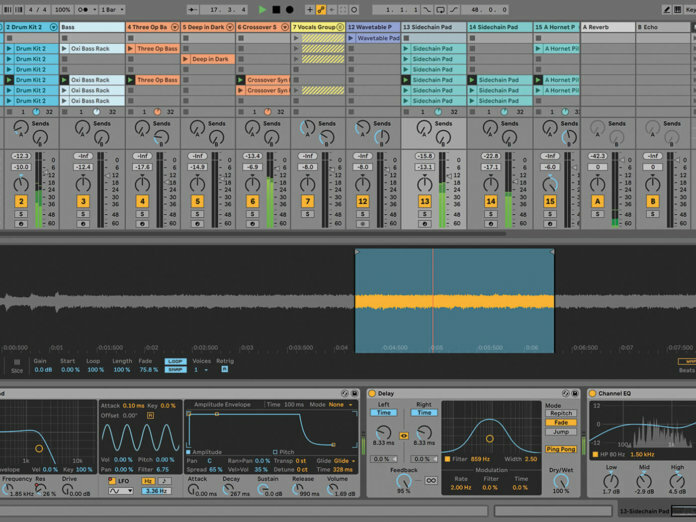 It also confirms that Ableton is following its practice of adding new features throughout the version’s lifespan, adding more value to the original purchase. I’m not on the inside track as far as future developments go, but I wouldn’t be surprised if Live 10 continues to benefit from additional content right up until the release of Live 11. Gadget kind of does what Reason used to do well – provide a toybox with built-in instruments and effects to build complete songs, or just jam. There are versions of Gadget for iOS and Nintendo Switch, and songs can be exported as Ableton projects. 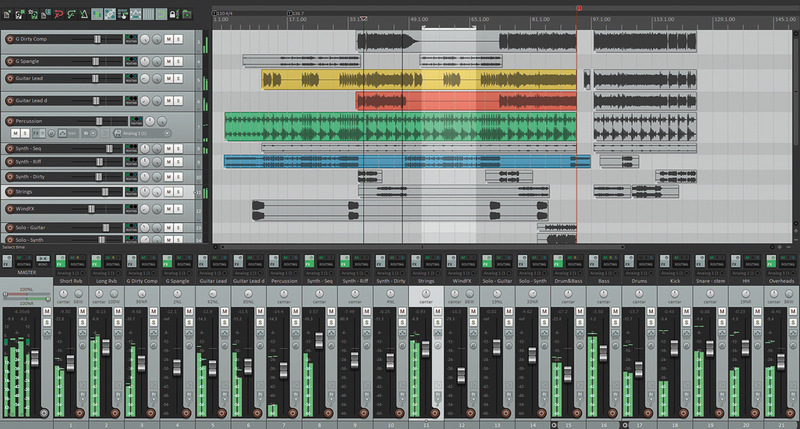 Reaper is a budget DAW that is well featured, and runs on macOS, Windows or Linux. It’s not as slick as Live or Logic, but it gets the job done – with full audio and MIDI recording and editing, as well as cool extras such as network effect processing. + It’s a free update that adds new features, what more could you want?